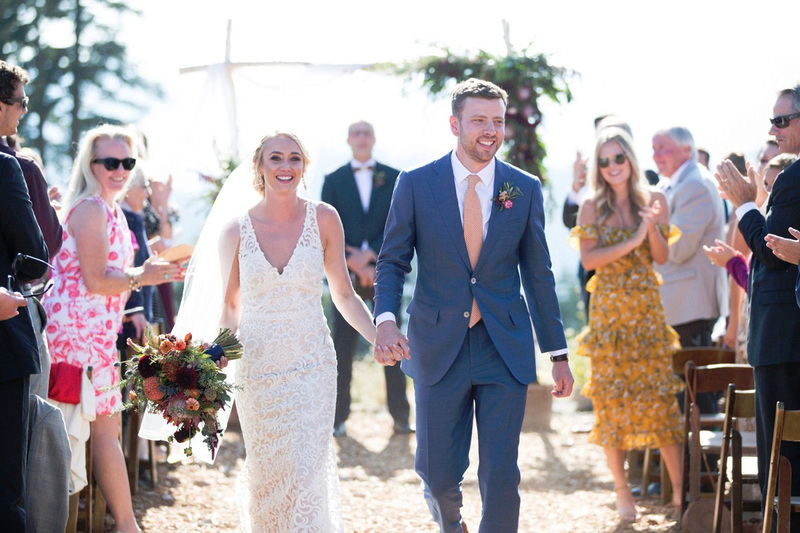 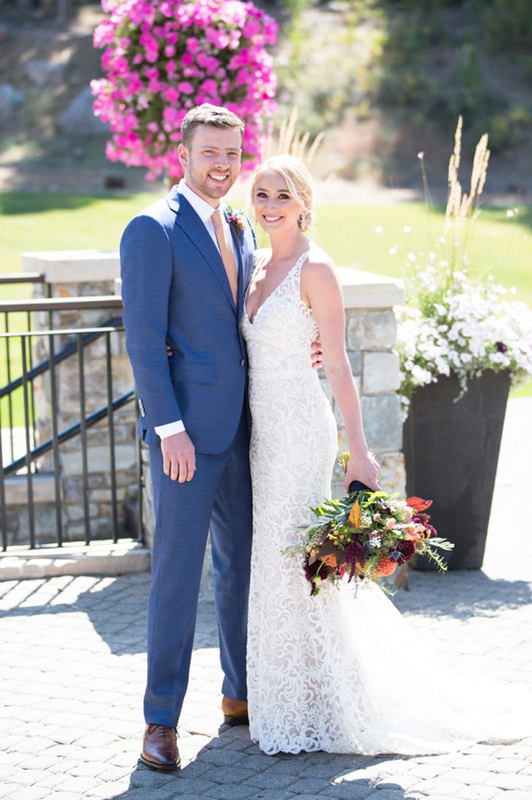 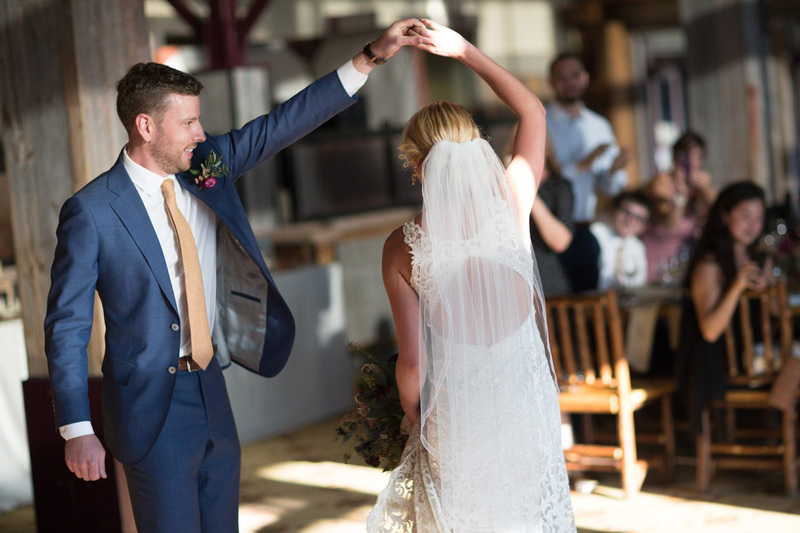 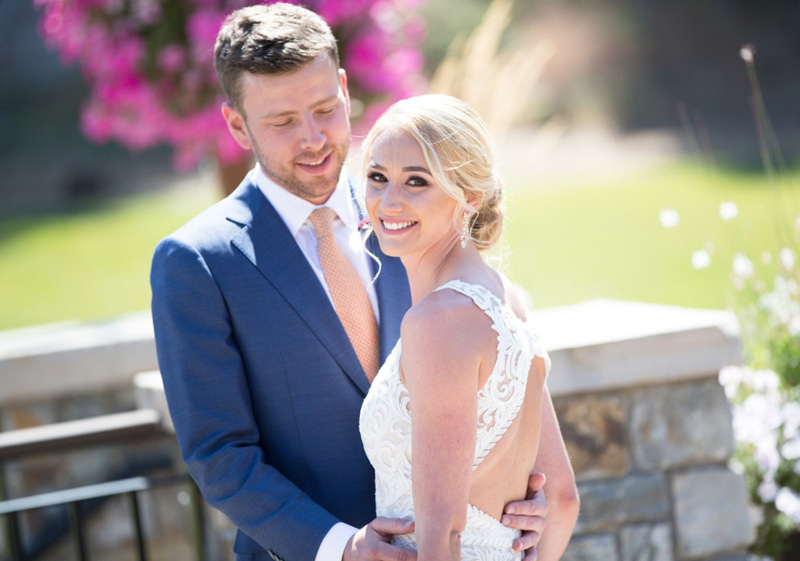 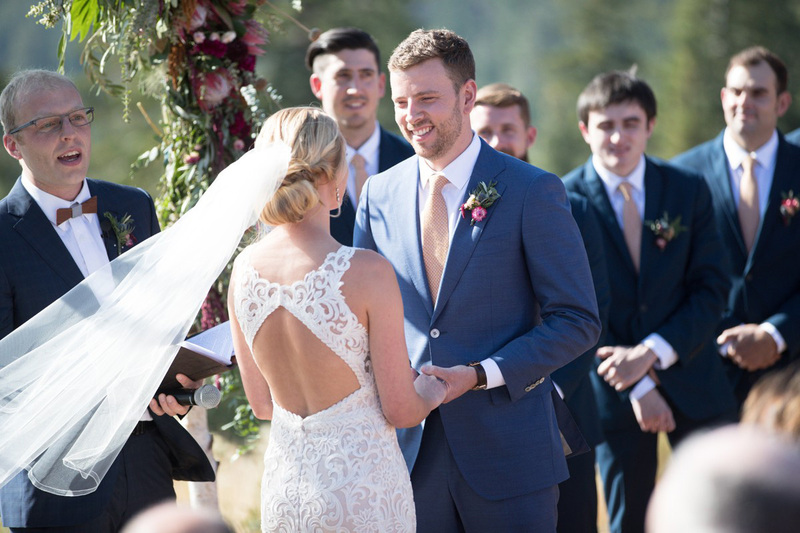 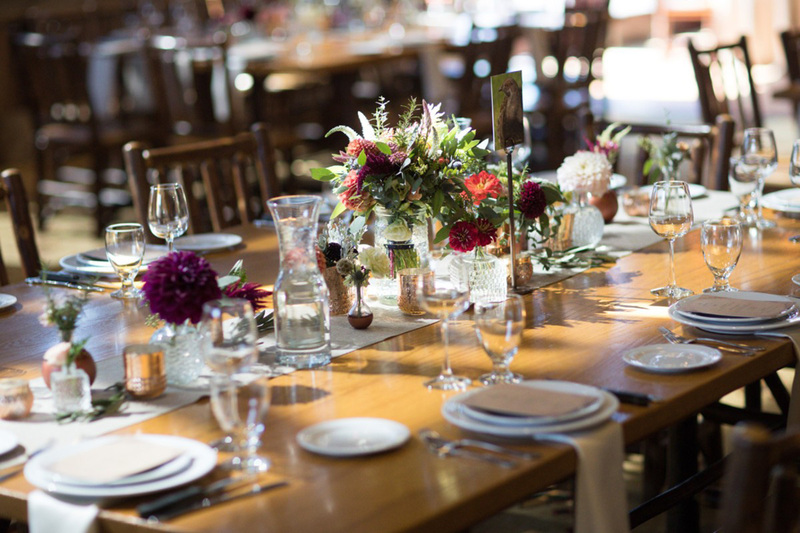 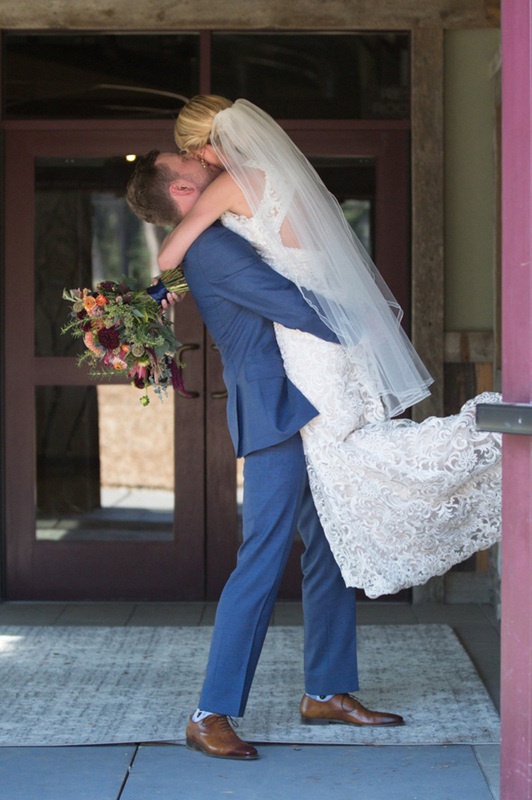 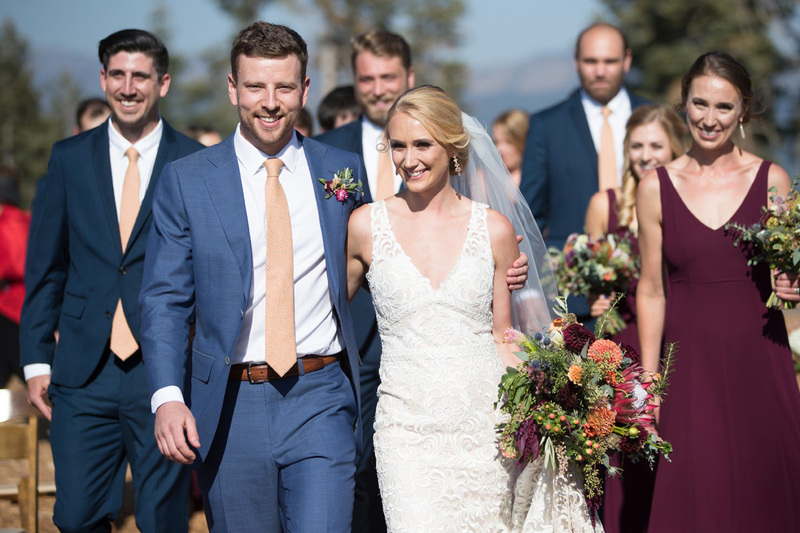 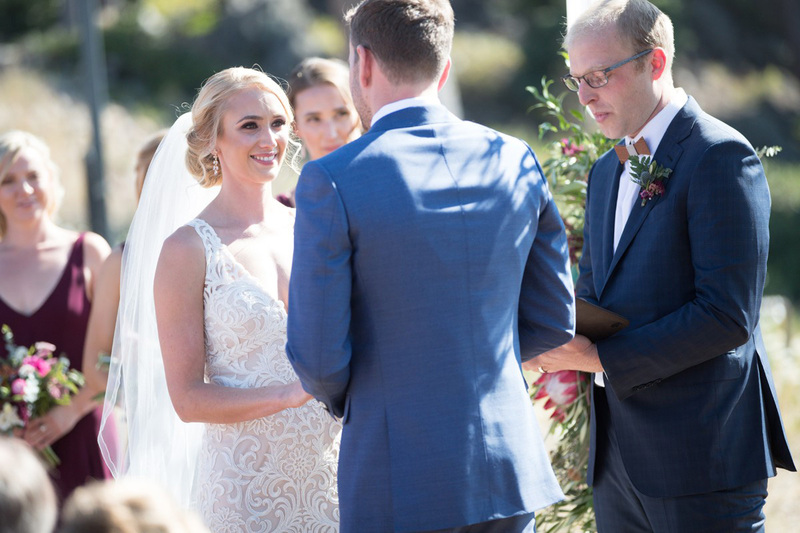 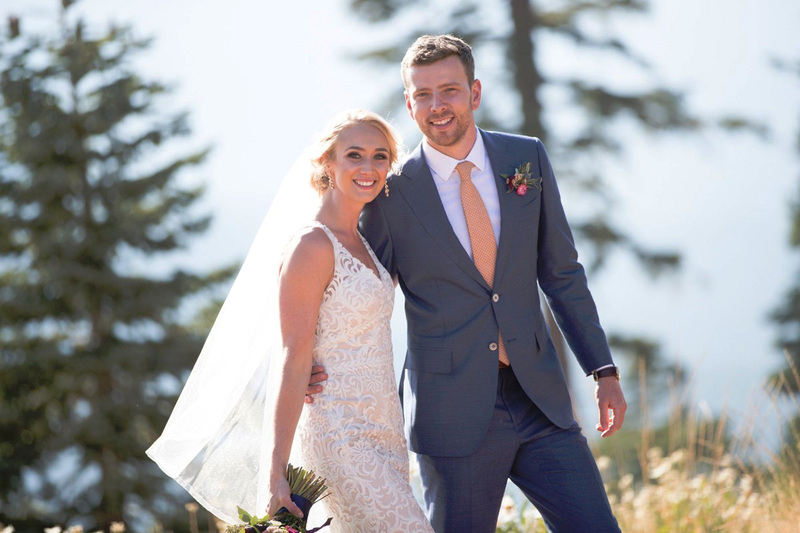 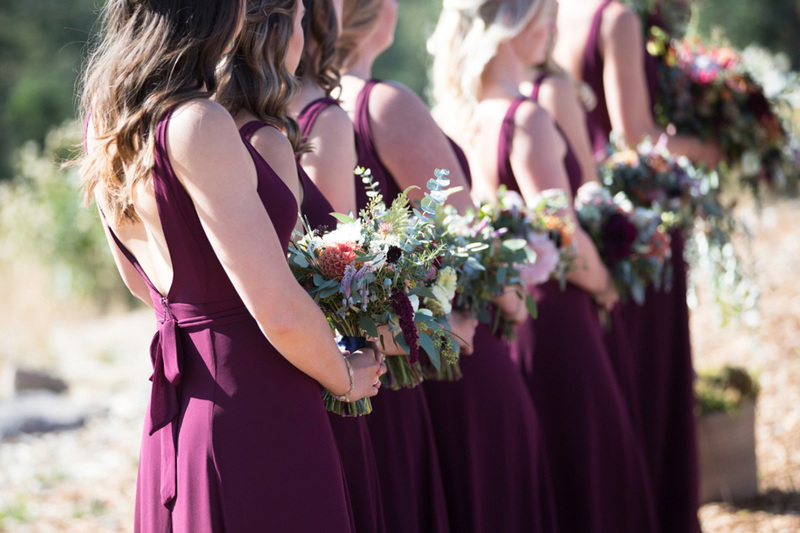 Adrian and Nate met through mutual friends at Cal Poly in San Luis Obispo when she was on the women’s lacrosse team and he was on the men’s team. 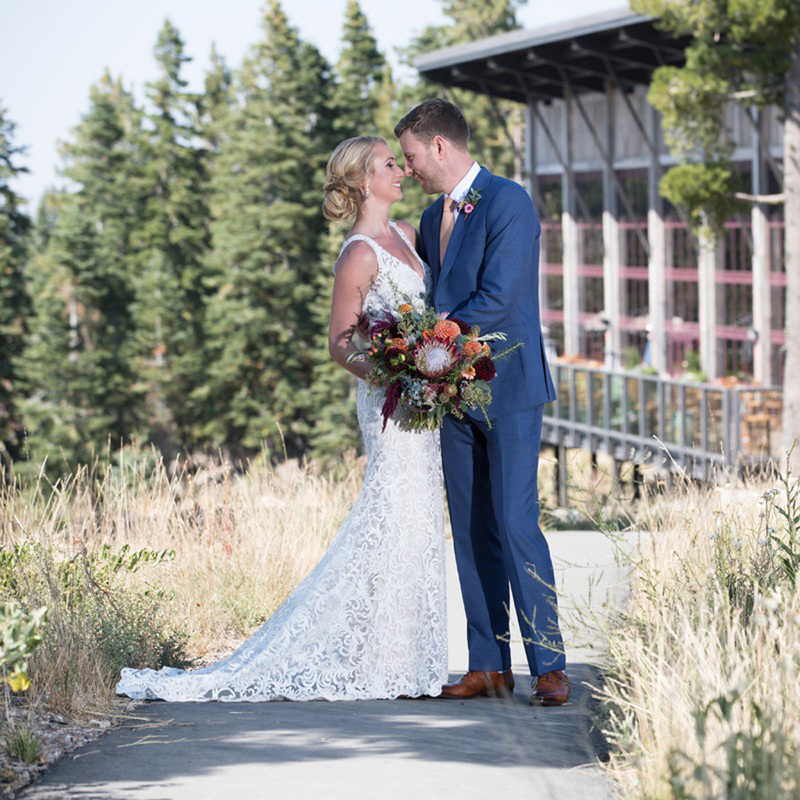 They dated for five years before getting engaged at the summit of Mount Tallac on the South Shore of Tahoe during a morning hike on the 4th of July weekend. 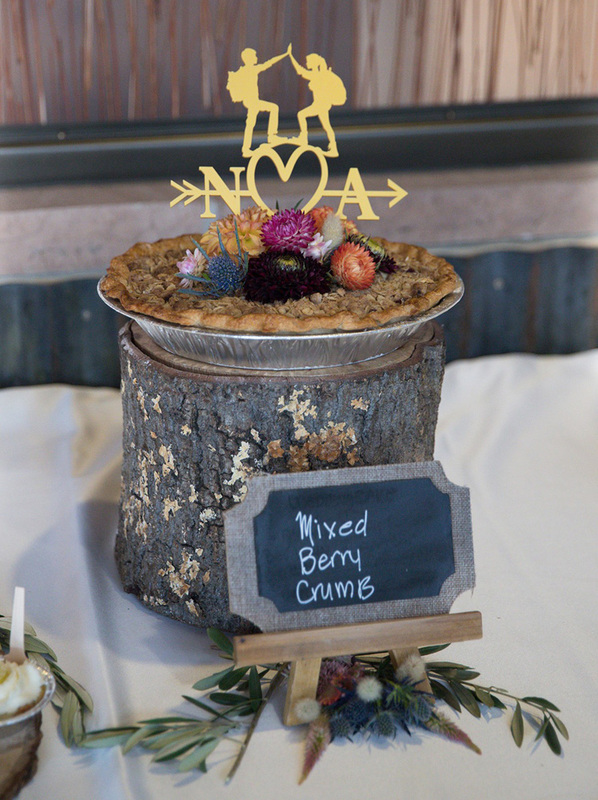 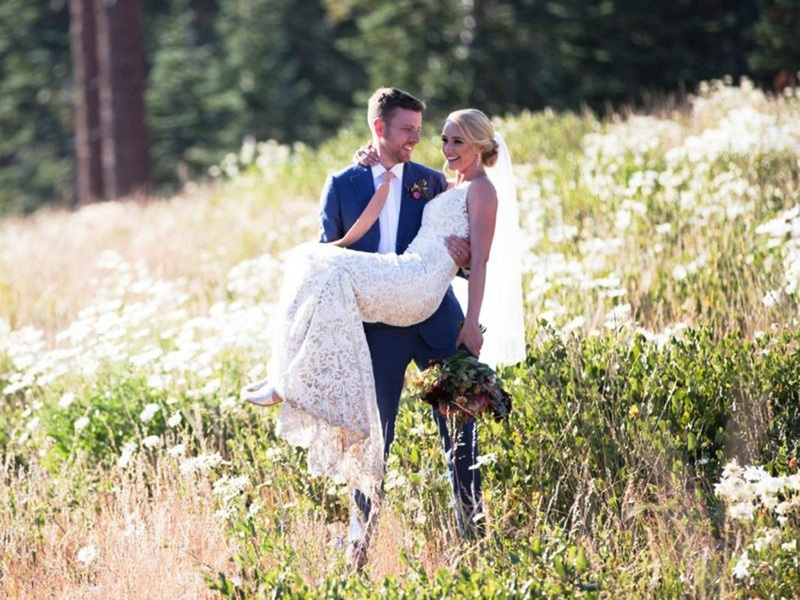 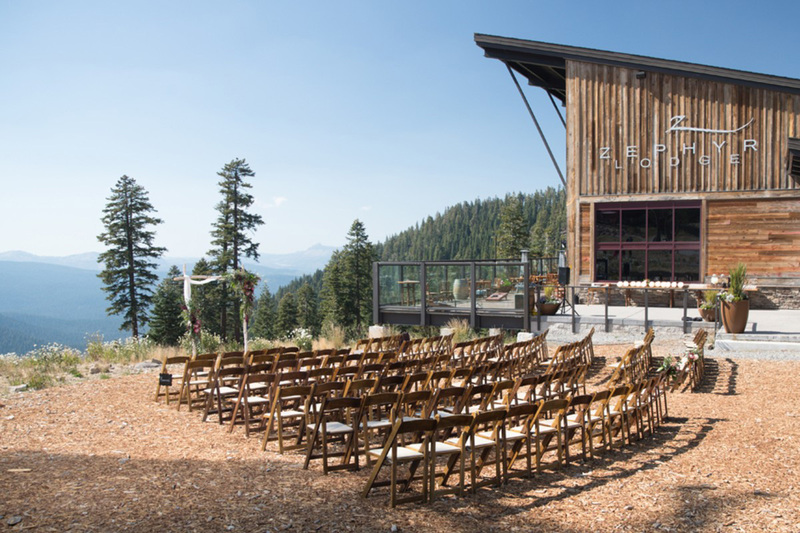 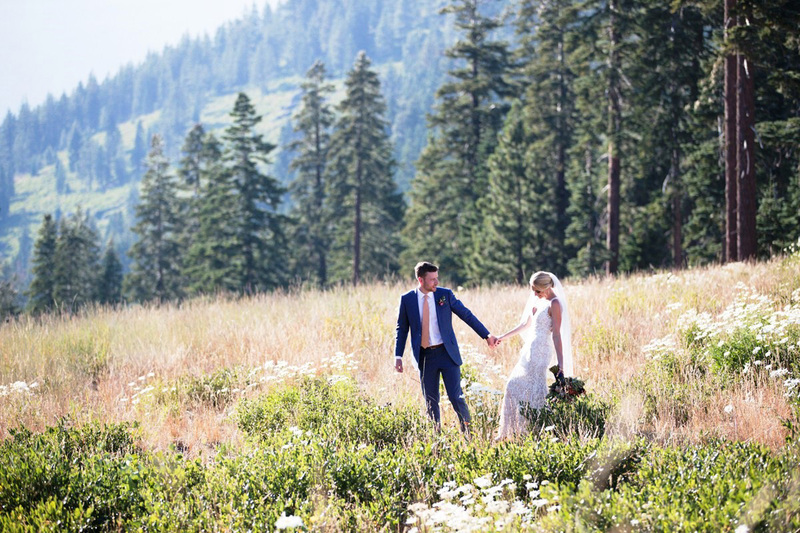 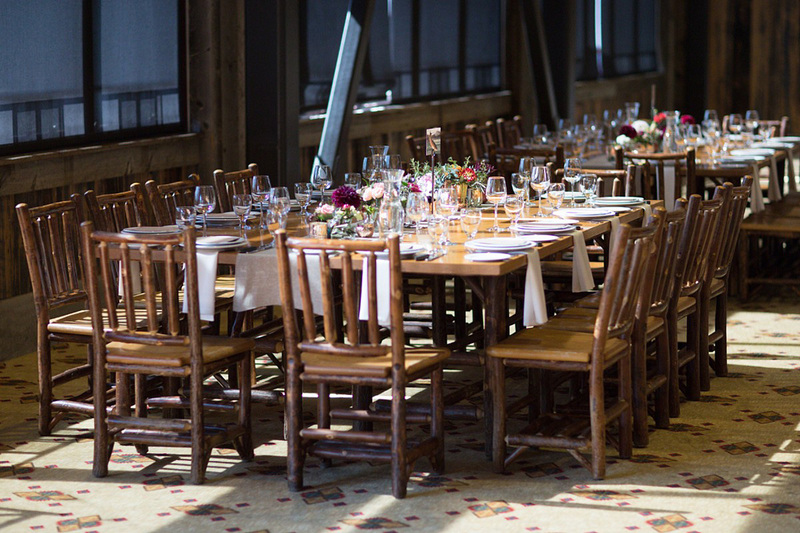 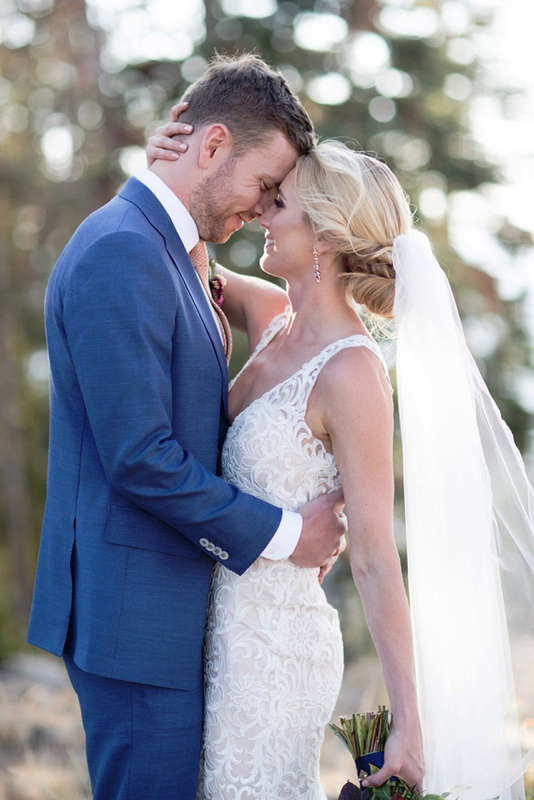 A little over a year later, they were married outside the Zephyr Lodge at Northstar California, in a fall wedding. 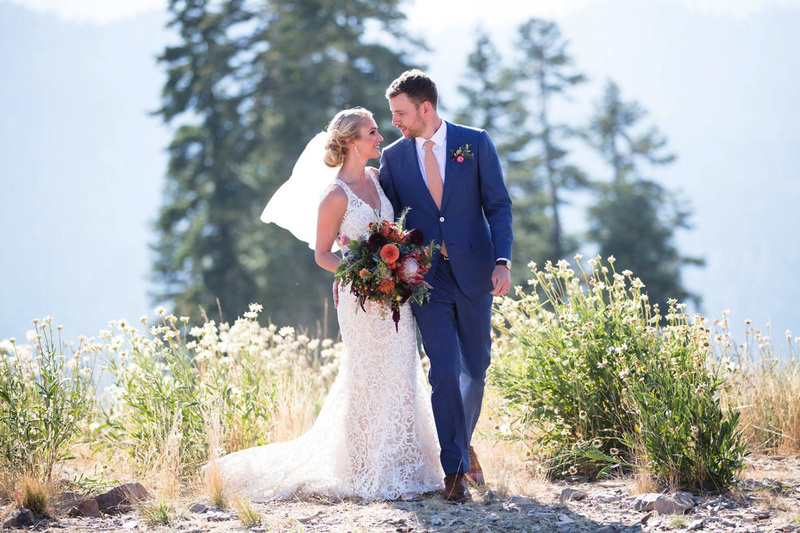 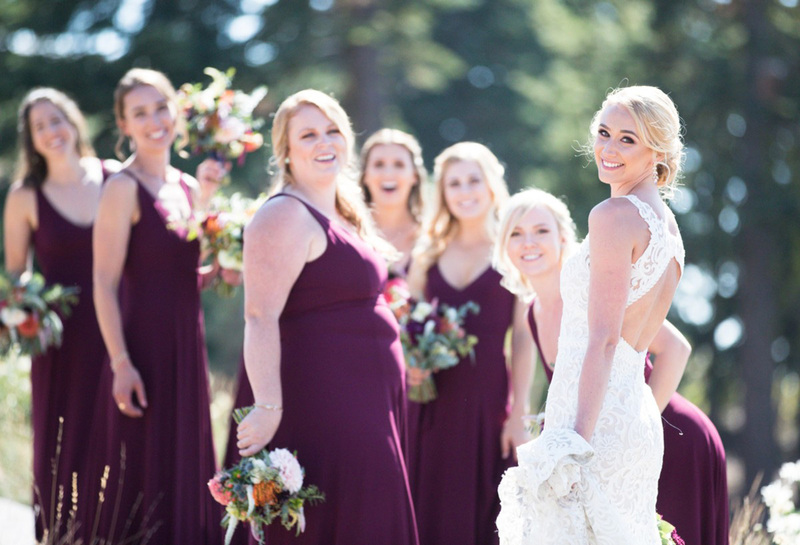 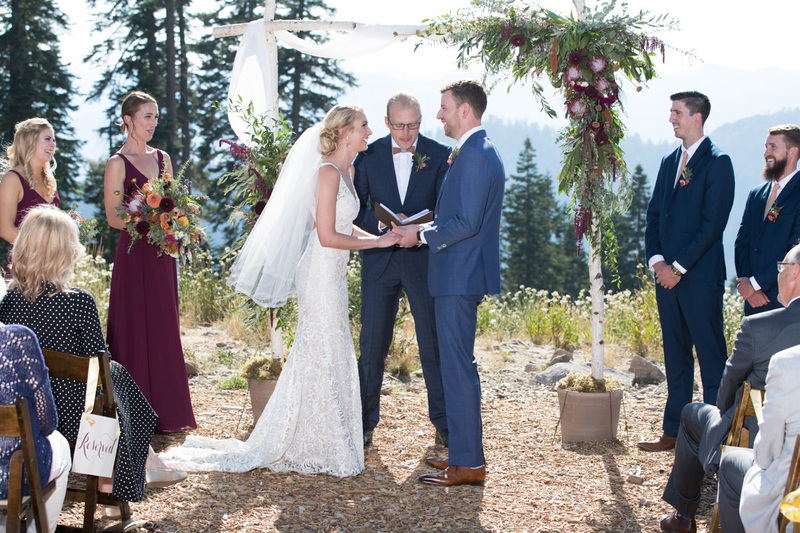 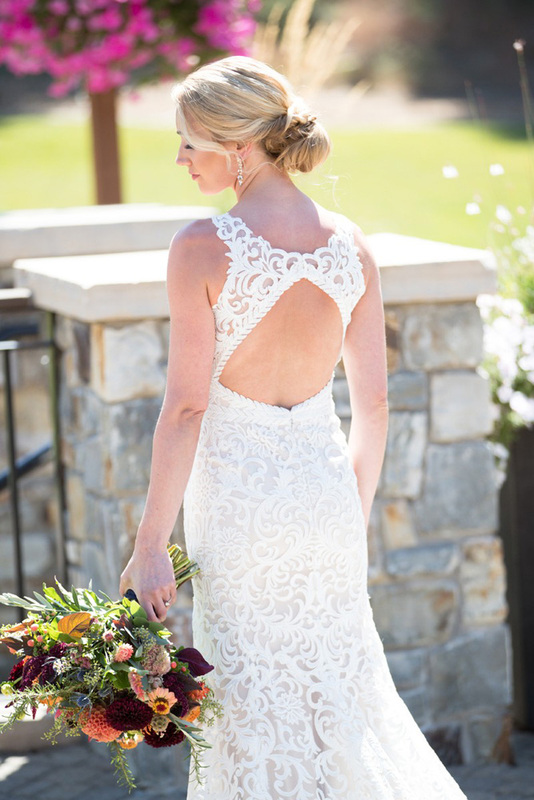 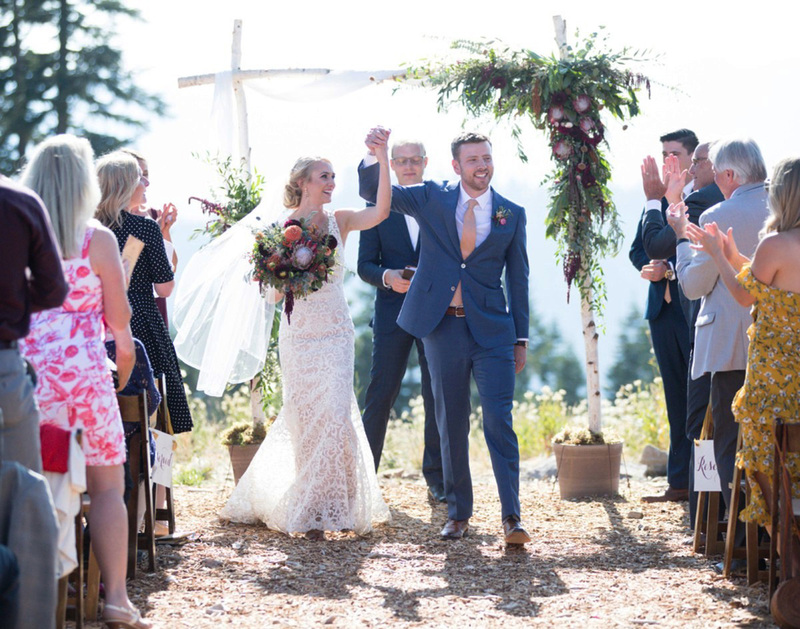 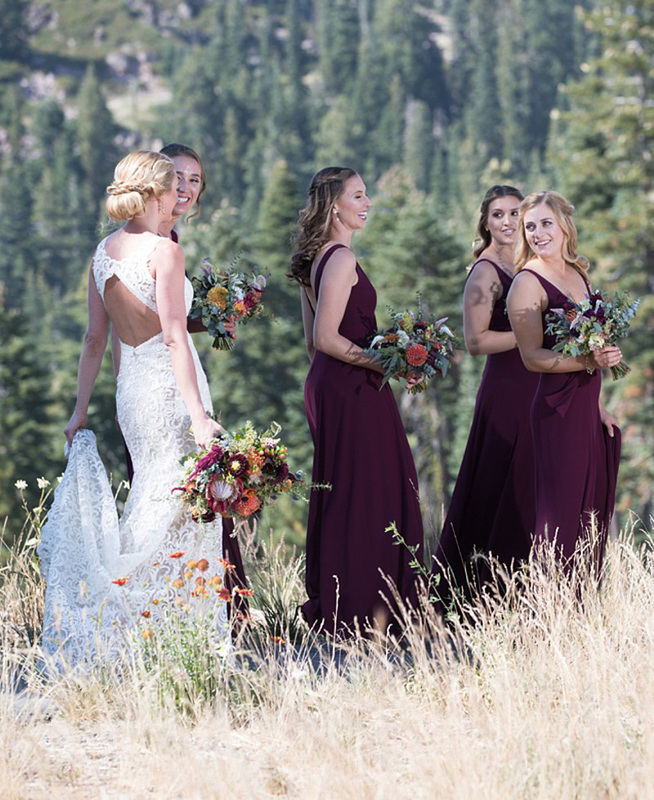 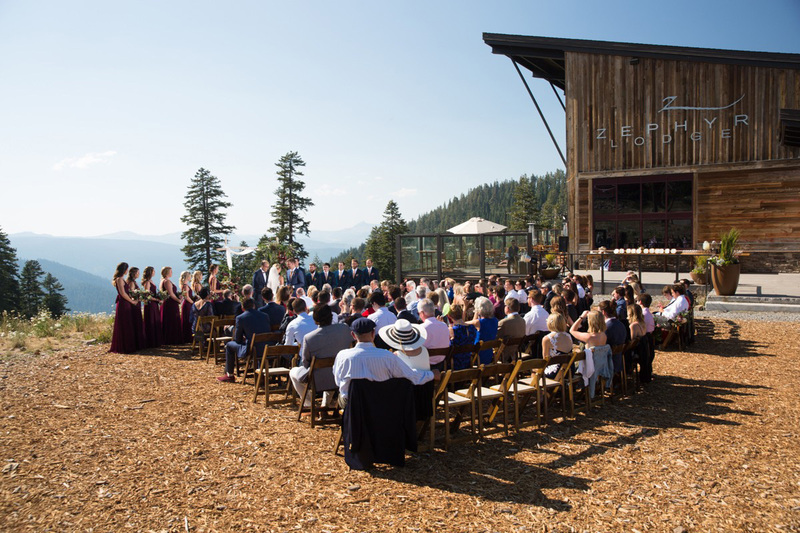 “I always knew I wanted to get married in Tahoe,” says Adrian, who spent her childhood summers at her parent’s cabin at Fallen Leaf Lake. 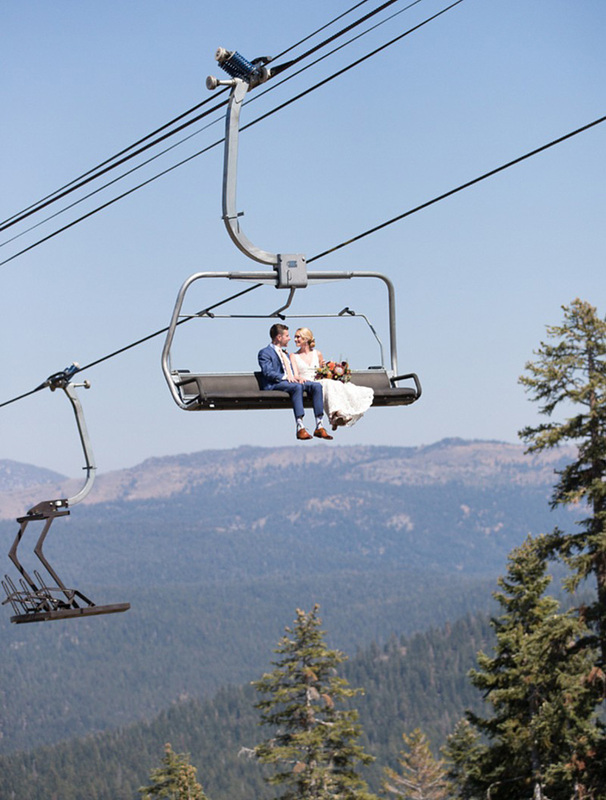 Then the wedding party took the gondola and chairlift up to the fields surrounding the Zephyr Lodge. 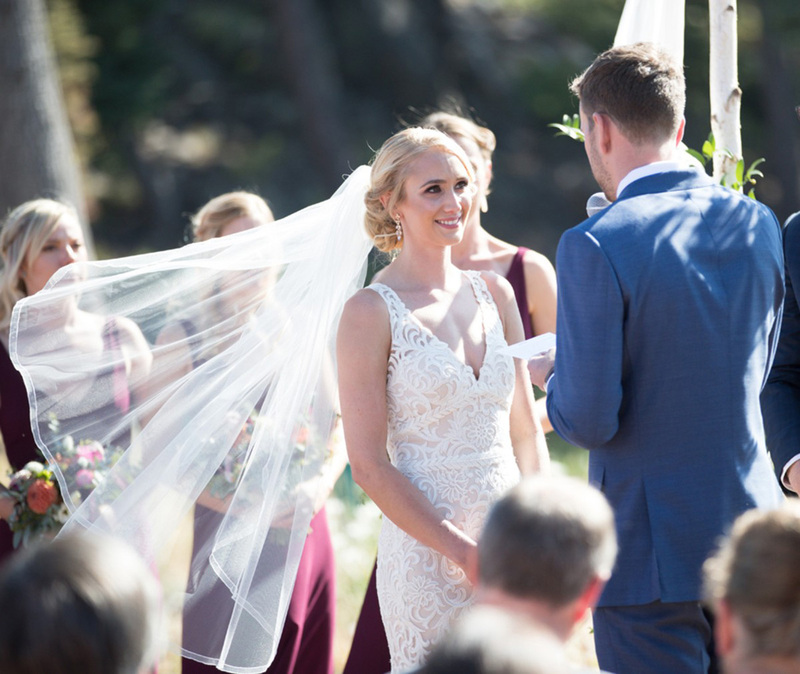 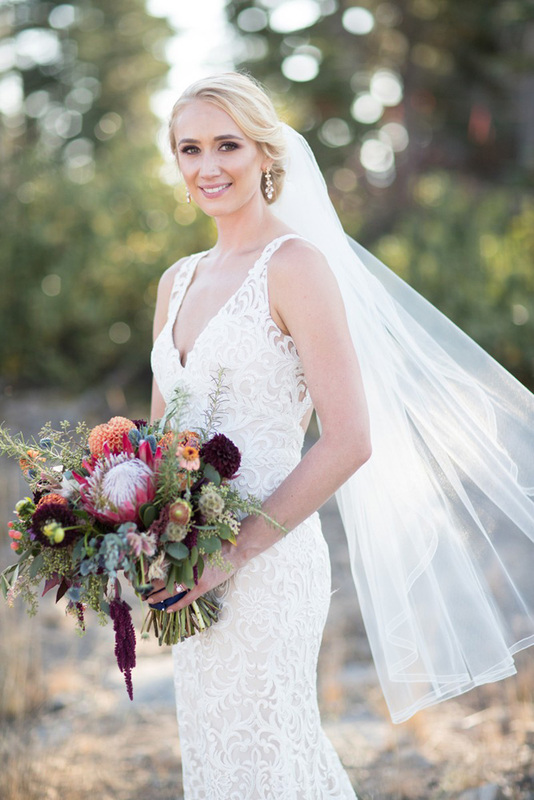 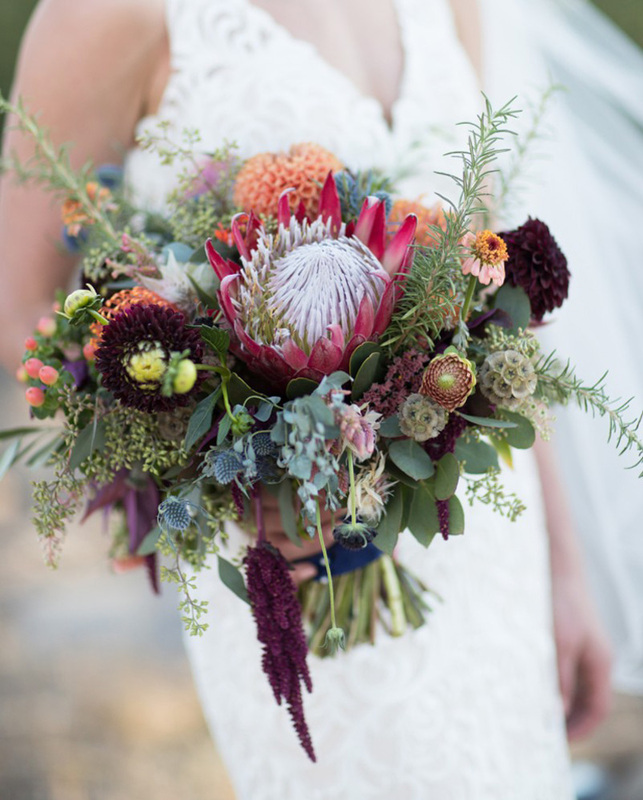 Adrian loved her wedding flowers from Love & Lupines, especially the bouquets and the ceremony “altar piece” from Manzanita Glow. 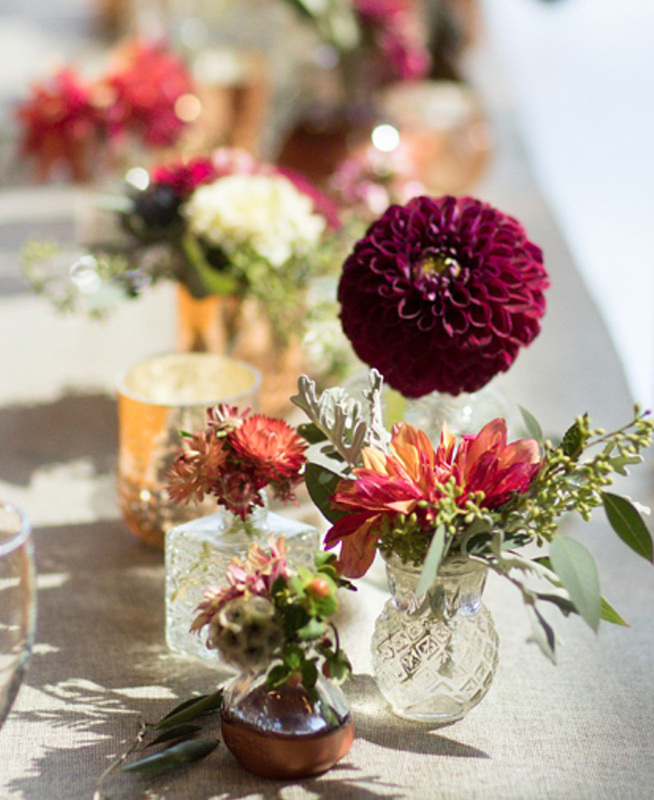 She wanted the décor to be natural as possible, so she chose earth tones including greens, maroons, oranges, dark yellows, wood and bronze. 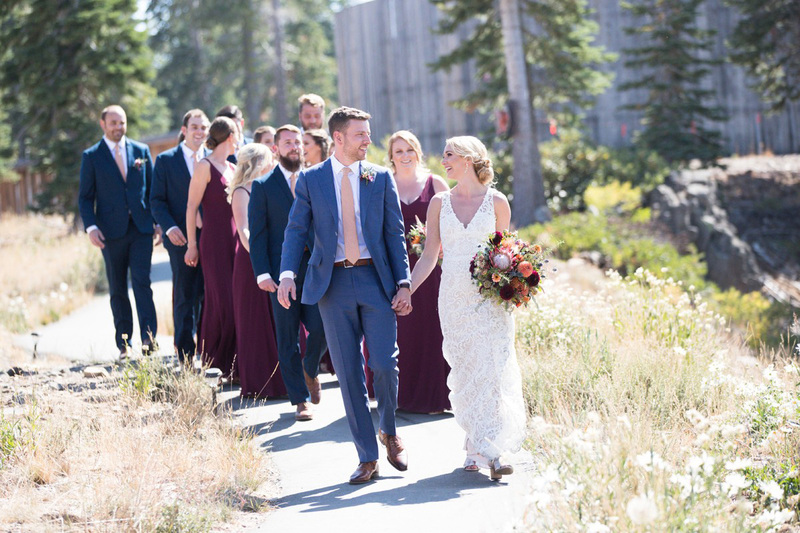 Their coordinating invitations were on brown recycled paper with a rose gold tree ring print. 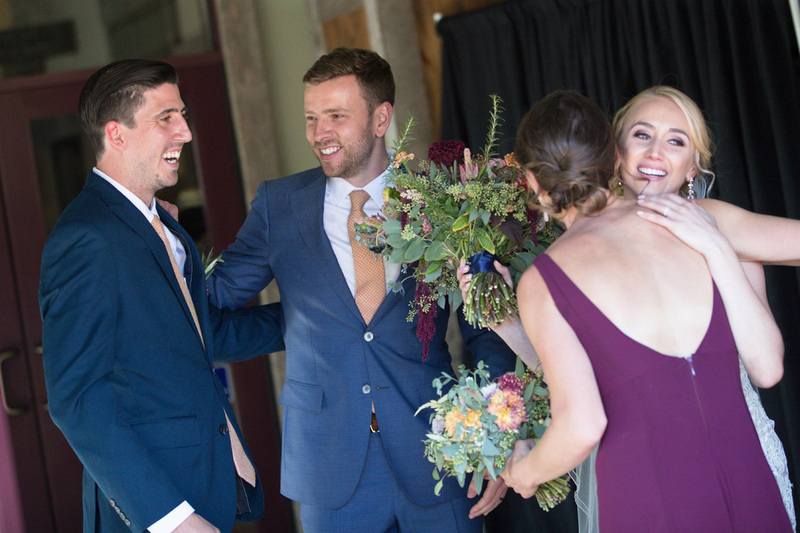 Nate was surprised by how quickly the wedding day went. 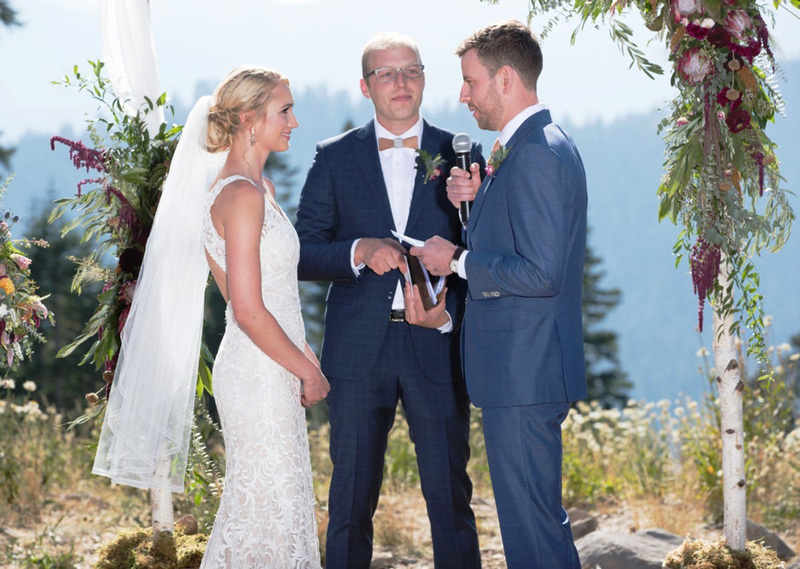 “Luckily, the pictures were a great way to remember each moment afterwards,” he says. 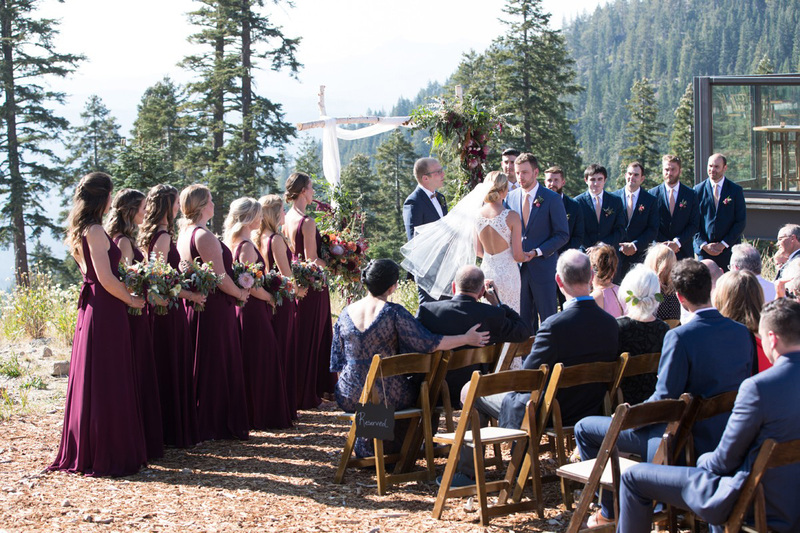 The newlyweds advise other couples to plan some alone time during the big day to reflect on everything that is going on. 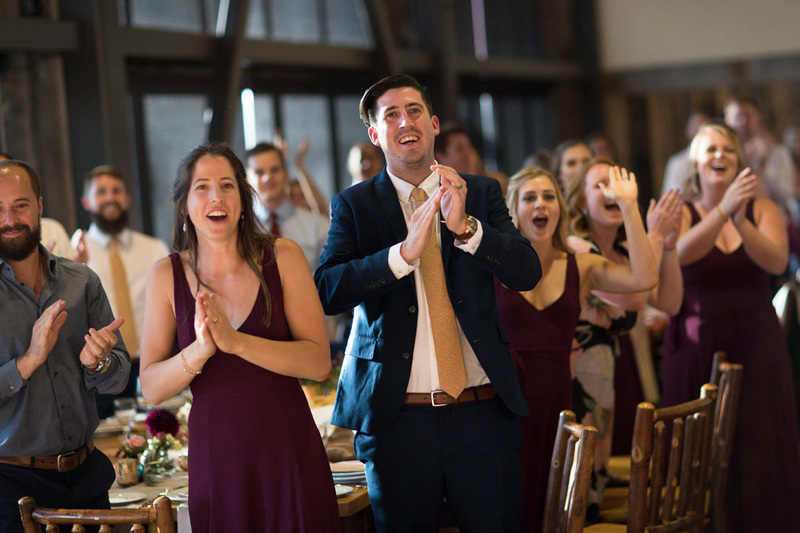 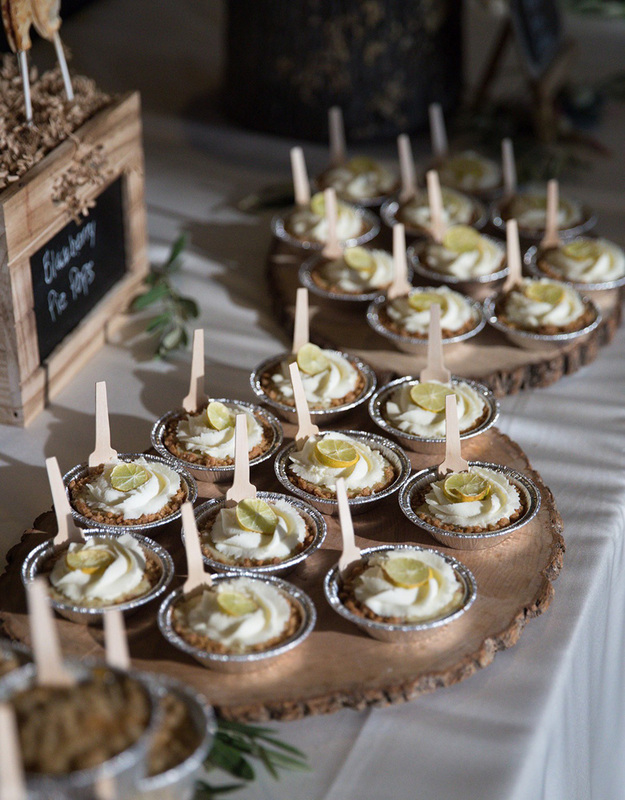 “There is only one day of your wedding, so take a minute to soak it in and recharge for the next event and interactions,” says Nate.